Included in contemporary mathematics curricula is the expectation that mathematics teachers will use technology - computers and calculators - in their classrooms. It is widely believed in Australian educational circles and in society at large that students' learning will be enhanced by engaging with these technologies. For children to use computers for mathematics learning, their teachers must want and be enabled to do so. In this article, factors identified as encouraging or inhibiting computer use in Victorian (Australia) secondary mathematics classrooms are reported. Data were gathered from a large sample of teachers, surveyed twice over a three-year period. The sets of encouraging and inhibiting factors were similar - that is, the presence or absence of particular factors appears to make a difference. It was disturbing to note that the identified factors differed little from those reported over a decade ago; they were also consistent with those identified by teachers elsewhere in the world and across various disciplines. The findings send strong messages to those empowered to make a difference. Whether overcoming the inhibitors will result in greater use of computers for mathematics learning and whether computer use will make a difference to students' learning are issues still requiring evidential support. Forgasz, H. (2006). Factors that encourage or inhibit computer use for secondary mathematics teaching. 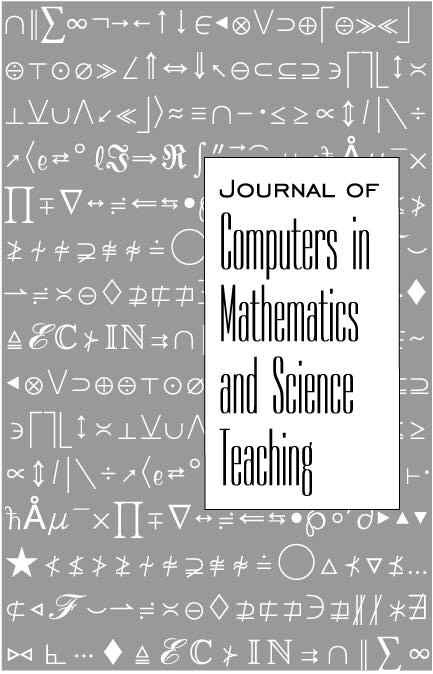 Journal of Computers in Mathematics and Science Teaching, 25 (1), 77-93. Waynesville, NC USA: Association for the Advancement of Computing in Education (AACE). Retrieved April 24, 2019 from https://www.learntechlib.org/primary/p/6100/. Andrews, P. (1999). Some institutional inﬂ uences on secondary mathematics teachers’ use of computers. Education and Information Technologies, 4(2), 113-128. Forgasz, H. J. (2003). Girls, boys, and computers for mathematics learning. In B. Clarke, A. Bishop, R. Cameron, H. Forgasz, & W. T. Seah (Eds. ), Making mathematicians (pp. 346-361). Melbourne, Australia: Mathematical Association of Victoria. Goodson, I. F., & Mangan, J. M. (1995). Subject cultures and the introduction of classroom computers. British Educational Research Journal, 21(5), 613627. Hadley, M., & Sheingold, K. (1993). Commonalities and distinctive patterns in teachers’ integration of computers. American Journal of Education, 101, 261-315. Leder, G. C., & Forgasz, H. J. (2002). Two new instruments to probe attitudes about gender and mathematics. ERIC, Resources in Education (RIE). ERIC document number: ED463312.